The story of the Ballentine and Pocai Familes winds its way from Lucca, Italy and Omagh, County Tyrone, Ireland into the beautiful Napa Valley where the family has been making wines from the same estate vineyards since 1906. 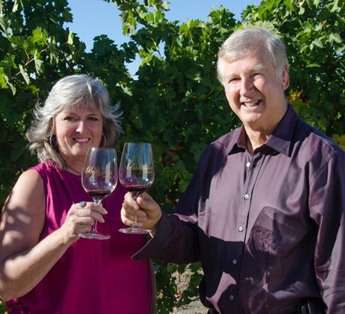 Today, Van and Betty Pocai Ballentine along with their son Frank Ballentine, continue to produce delicious award winning wines and provide authentic experiences of a working boutique winery. 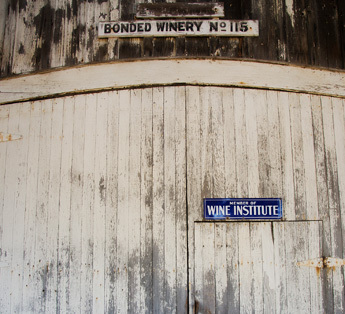 It is a hidden gem of what Napa Valley used to be juxtaposed with the emerging future of wine and the wine lifestyle. 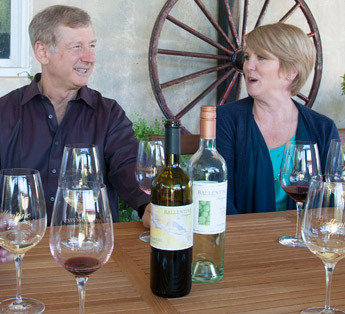 Van and Betty Ballentine’s son, Frank Ballentine, has a passion and drive to find new, exciting breakthroughs in the food and wine industries. 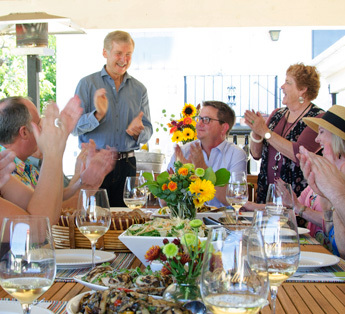 Fueled by his birthplace and childhood stomping grounds in Napa Valley vineyards, Frank began combining his interests in wine and business while attending UC Davis Enology Program. 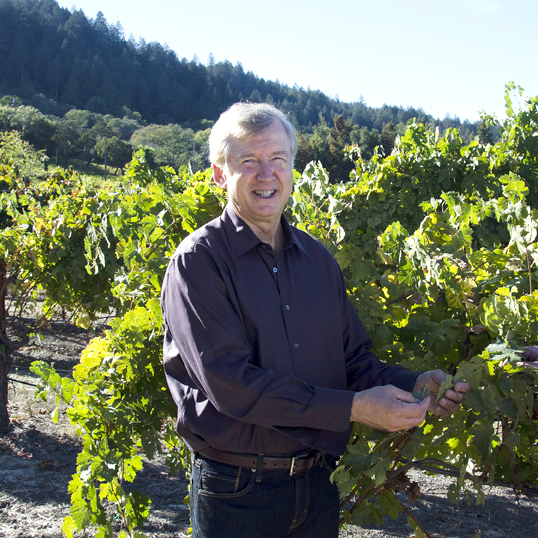 He crafted his own major, “Vineyards and Winery Management,” and went on to add an MBA as his interest in business grew. 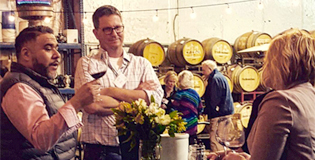 After a few years as a winemaker, his passion grew to include food; he built a successful food manufacturing and distribution career, and went on to hold senior management positions at Odwalla right before and during its rapid growth. Ever a student, he was a frequent visitor to Stanford and Harvard’s executive management programs to discover best practices to apply to improve the family business. 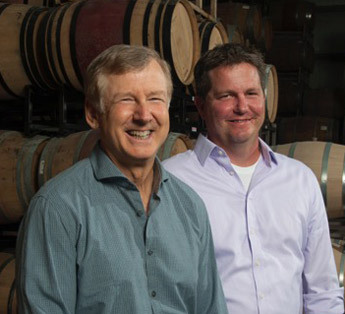 In 2012, Frank began a partnership with his aging parents, to manage the Ballentine Family Estate Vineyards. Along the way, his love of the land and the science of vineyard management were rekindled. As he worked shoulder to shoulder with Bruce Devlin, the winemaker, they both realized they shared a desire to explore the pinnacle of incredible viticulture and wine-making fit for the future of a changing Napa Valley and shifting demographics. Since that time, Frank and Bruce constantly experiment with the 100+ year old vineyards to discover their ever evolving potential to create new gems of great wine every year. 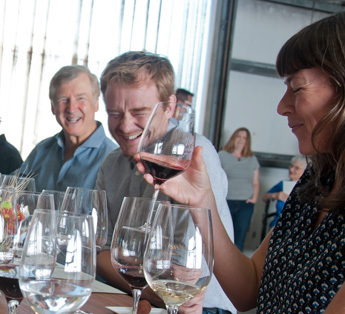 They’ve refreshed the vineyards with strong science and engage innovative in wine-making aimed at providing their guests with new and different experiences in the Napa Valley. 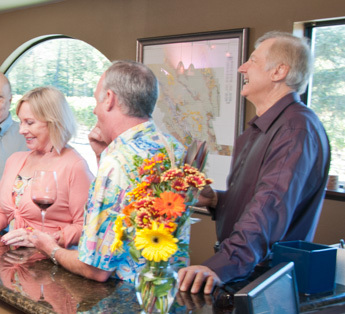 They aim to remain the Hidden Gem of Napa Valley through innovation ever delighting and surprising themselves and their guests. Frank now lives in Danville, California with his two children and his wife, Linda. He is an outstanding business leader and President of GreenLeaf in San Francisco, a leading, high quality produce and specialty product business. In Frank’s time away from all the action, he loves to take his son Ryan hunting and daughter Audrey salmon fishing in Alaska.